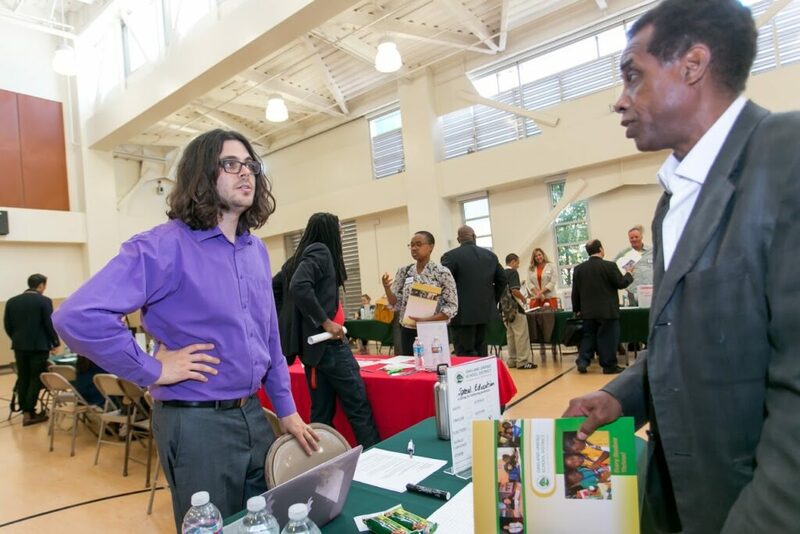 At an Oakland Unified job fair, recruiter Cary Kaufman (left) speaks with job seeker and substitute teacher Ed Cannon. Over the past four months, the National Center on Education and the Economy, or NCEE, has hosted an “Empowered Educators” webinar series based on an international comparative study of teachers and teaching quality in top-performing education systems around the world. 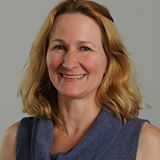 The programs, which feature research led by Linda Darling-Hammond of the Learning Policy Institute over a three-year period, are now available online. Focused on seven educational systems on four continents, the programs delve into: recruitment and preparation, professional learning, appraisal and feedback, and career ladders. Panelists in the recruitment and preparation program discuss the rigorous and highly selective process in Finland, the comprehensive training and high pay for educators in Singapore, and challenges due to teacher shortages in the United States. The professional learning program focuses on teacher training, mentoring and induction in Australia and Shanghai, while the appraisal and feedback segment looks at the ways in which teachers are evaluated and given feedback in Australia and Singapore, compared with American practices. The final program on teacher leadership and career development features a discussion of teaching policy in Singapore and Australia, compared to U.S. policies. More information about the study and webinar series is here.